I’m delighted to announce Harlequin has reissued two of my most popular romantic comedies in e-book format. 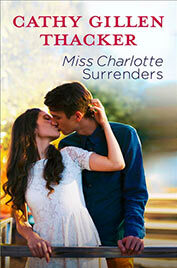 MISS CHARLOTTE SURRENDERS is set on a lovely southern estate that has been in Charlotte Langston’s family for generations. It’s up to Charlotte to save the family home from foreclosure, and bring the lovely old mansion back to life. The main thing standing in her way? The hot new caretaker—who seems a lot more adept at seducing her, than helping out in any practical way…. 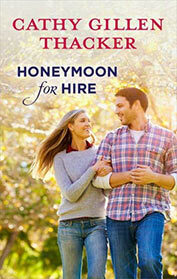 HONEYMOON FOR HIRE takes place in picturesque Connecticut. Dillon Gallagher hires Hayley Alexander to cook and clean for him in the white elephant he has just purchased as an investment. It’s the ideal set-up for the confirmed bachelor and feisty widow. Hayley can have her baby with her while she fixes up the neglected Colonial, on Dillon’s dime. Dillon can assuage his secret guilt. At the end of the year, Hayley will have enough money saved to buy the newly transformed dream home for herself and her baby daughter. Neither count on the neighborhood gossip that soon forces them to marry. Never mind the intimacy of such close quarters….